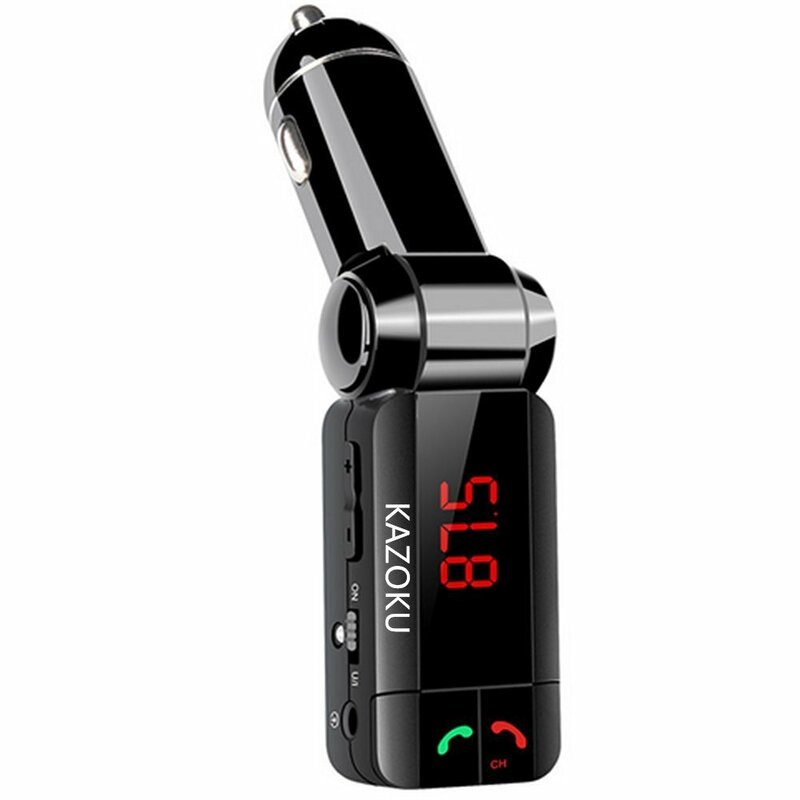 Home › Electronics › Kazoku 5-In-1 In-Car Fm Transmitter Bluetooth Wireless Adapter With Dual Usb ..
Kazoku 5-In-1 In-Car Fm Transmitter Bluetooth Wireless Adapter With Dual Usb .. Note: 1 This product is dual USB output. You can charge two devices at the same time,the maximum output is 5V / 2A. 2. Insert U Disk ,only the one usb Port(the number 10) support. 3: LINE and insert U disk and Bluetooth turned on, then boot priorityBluetooth connection; When the Bluetooth connection on and then insert U disk/ LINE, the latter takes precedence. 4 when the machine in FM transmitter ,volume will not be too much (generally25 or less position) in order to avoid sound distortion, adjust the volumeusing the car stereo adjustments. 5. The machine FM transmitter built-in antenna, while also should try to avoidusing strong local radio frequency signals to get better sound quality. 6. Due to various differences in the phone itself, the method used in theBluetooth may be different in practice. 7. In the player again after power off, and some mobile phones may notautomatically connect function, so need to use a manual connection again. 8. Although this product is compatible with more than 95% of the currentmarket major brands mobile phones, but there are still some phone are notcompatible, in the purchase process please note. 9. During a call, adjust the volume to moderate, not too big, so as not toaffect each other's call quality. 10. Do not use this product in a particularly high or low temperatures anddusty, humid environment.